Auto Dyanimcs - Manufacturer of high pressure composite cylinder, diesel and gas dual fuel combustion system in Pune, Maharashtra. The product is made of a liner base tank in plastic / steel or alternate material through a patented technology (Patent Appln. No. 2640/MUM/2011). This is layered with composite material of glass, carbon fibre, basalt or aramid fibres based on the end use application and the pressure requirements. Compared to steel storage tanks, you get a weight savings of above 30%. Multiple storage tanks can be made into a module and can be made in different sizes to suit the end use. In Automotive, it is used for storage of CNG fuel. The CNG pressure goes to around 200 bar and is used in combination with petrol. In buses, a set of 4 cylinders is used as a module on the roof of the bus. AutoDynamics is the pioneer to introduce this technology in the Indian market. The system injects a small quantity of alternate fuel like LPG or CNG into the engine. This gas improves the combustion process to ensure that maximum amount of diesel injected is burnt. This is a full system with can be fitted on new or existing vehicle. This is computer controlled with sensors which can be programmed to increase the performance of the engine. 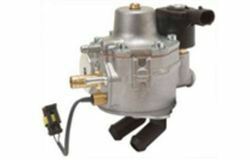 This is an add on system with no modification required in the existing engine. Greater Economy, Improved Drivability, Reduced Emissions. Increase in power and torque of the engine leads to higher average speeds and less reduction of gear changes. Reduction of fuel consumption costs by 15%. The life of the engine increases due to less carbon contamination so the engine oil stays cleaner for longer time. In Automotive vehicles ranging from cars to commercial vehicles, In non – Automotive, it can be used in stationary Gensets to reduce fuel consumption.